This is a very cool trick you can even add your own photo as a WhatsApp sticker on WhatsApp and send it to your friends and surprise them. 2. Once you erase the background of the image then you need one more app which will help you add this photos as WhatsApp stickers on WhatsApp which is personal stickers for WhatsApp. 3. Download Personal stickers for WhatsApp app from play store. 4. Once you download this app then open it when you open this app it will automatically scan your gallery for PNG images and you will see all your PNG image there. 5. and there is an option for adding that images on WhatsApp stickers, click on add tab to add your image on WhatsApp stickers. 6. now you will see your own image is available as a WhatsApp sticker on your WhatsApp, send this to your friends and surprise them. 2. Click on emoji icon and then click on sticker icon which is available in below side of WhatsApp. 6. 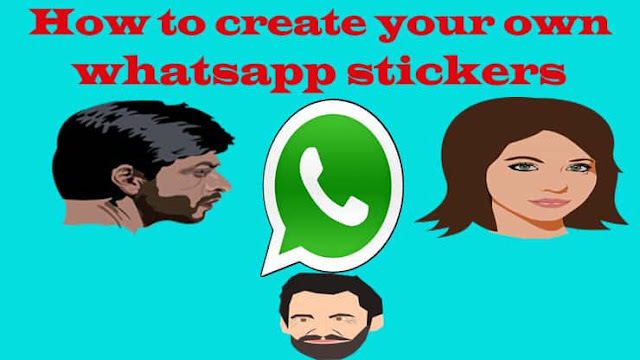 If you want more WhatsApp stickers then scroll down that page and you will see get more sticker tab click on it and it will redirect you to the play store for downloading stickers and then download stickers from there which you want.